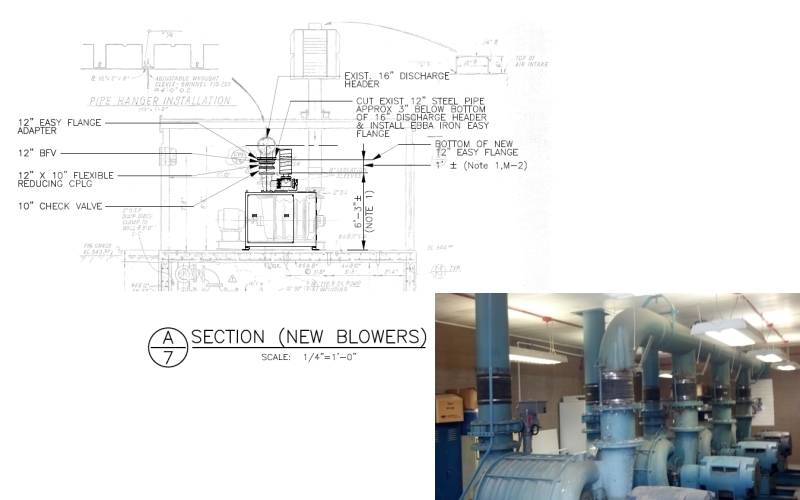 City of Sanger Wastewater Treatment Plant Blower Retrofit - MC Engineering, Inc.
MC Engineering provided analysis and design services that identified savings associated with replacing two of the City’s existing centrifugal blowers with high speed turbo blowers. The project involved determining oxygen uptake rates of the existing process and projecting energy requirements associated with new equipment and control strategies. The resulting savings are being used to leverage financing of other improvements throughout the City. Savings were estimated at approximately $55,000 per year for reducing energy usage by approximately 594,000 kWH annually while also lowering annual maintenance costs associated with the older blowers. The project included incorporating two high speed Neuros 150 HP blowers along with related dissolved oxygen control system upgrades and associated SCADA system programming.